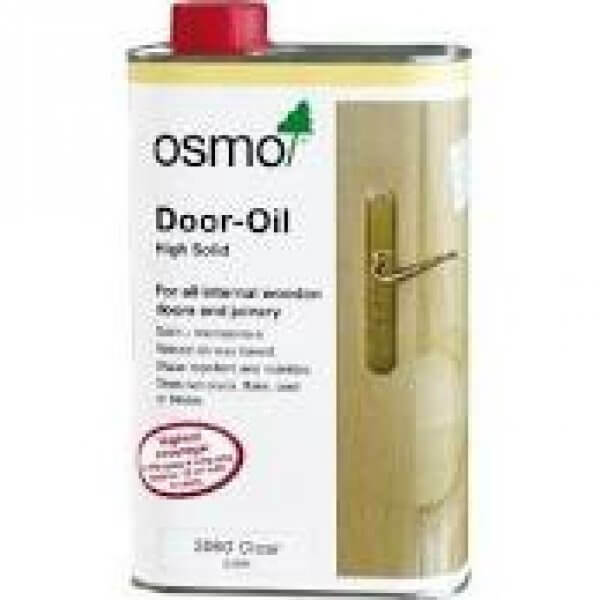 Osmo Door-Oil is a unique oil and wax combination designed to protect interior veneered wooden doors. The unique formulation penetrates the wood surface which remains microporous and whilst the finish will not crack, peel, flake or blister. The surface also becomes healthy and elastic, and the wood's fibres are prevented from becoming dry and brittle over time as well as shrinking and swelling. The wood's true beauty is accomplished by using Osmo Door-Oil. The emphasis on the wood's grain and natural characteristics provides a warm and rich effect to ensure that any interior room looks luxurious and elegant. Each wood has its own style and unique charm, and is seductive from the first sight. Osmo Door-Oil is a unique oil and wax combination designed to protect interior veneered wooden doors. The unique formulation penetrates the wood surface which remains microporous and whilst the finish will not crack, peel, flake or blister. The surface also becomes healthy and elastic, and the wood's fibres are prevented from becoming dry and brittle over time as well as shrinking and swelling.The wood's true beauty is accomplished by using Osmo Door-Oil. The emphasis on the wood's grain and natural characteristics provides a warm and rich effect to ensure that any interior room looks luxurious and elegant. Each wood has its own style and unique charm, and is seductive from the first sight.